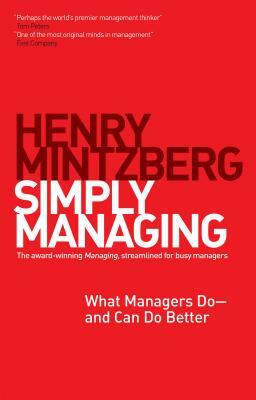 Henry Mintzberg appreciates that managers are busy people. So he has taken his classic book Managing, done some updating, and distilled its essence into a lean 176 pages of text. • How is anyone supposed to think, let alone think ahead, in this frenetic job? • Are leaders really more important than managers? • Where has all the judgment gone? • Is email destroying management practice? • How can managers connect when their job disconnects them from what they are managing? If you read only one book about managing, this should be it! Henry Mintzberg is Cleghorn Professor of Management Studies at McGill University and a founding partner of CoachingOurselves.com. He has won awards from many prestigious academic and practitioner institutions in management and is the author or coauthor of sixteen books. His next project is a series of electronic pamphlets entitled Rebalancing Society: Radical Renewal beyond Left, Right, and Center (see www.mintzberg.org). Winner of the Chartered Management Institute’s Management Book of the Year award. One of strategy+business magazine’s top three management books of the year. One of Library Journal’s top business books of the year.